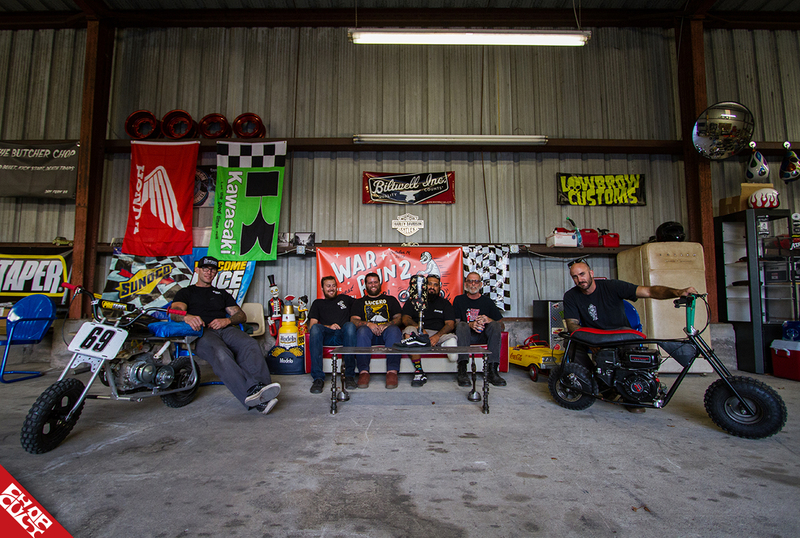 The War Run is an event hosted by Big Scott Peck and Metric Mike Scarabino that brings together people from across the nation for a weekend of fun, as well as raising money for a good cause. 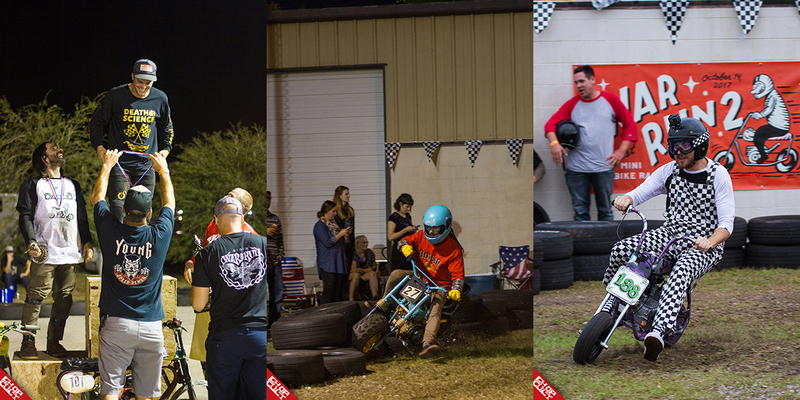 This year's event grew almost double in size from the previous year and was host to the biggest minibike race of the year, in the country, ever. 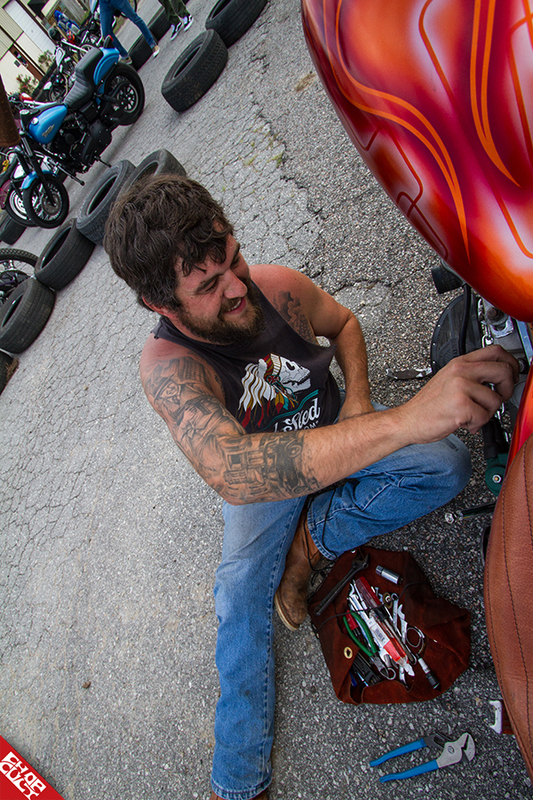 Friday kicked off final track preparations, backpacks and tents strapped down, and tanks filled up for an 80-mile ride through some of the most beautiful parts of North Carolina to the pre-party in Selma, hosted by Colby Landis. A 130lb hog and all the fixings you would expect to have at a country BBQ kept everyone well fed while DJ Connor was on the 1’s and 2’s spinning a mix of Celine Dion, Metallica, and Dr. Dre. The shop was opened for repairs, the tents set, and the bonfire was lit for a great start to the weekend. Bikes started rolling in early, and unlike the usual sounds of a country morning, with birds chirping, leaves rustling in a fresh breeze; instead, the only thing anyone could hear was the sound of a chopper wound out and The Final Countdown led by Europe with backup vocals from the Wisconsin boys! 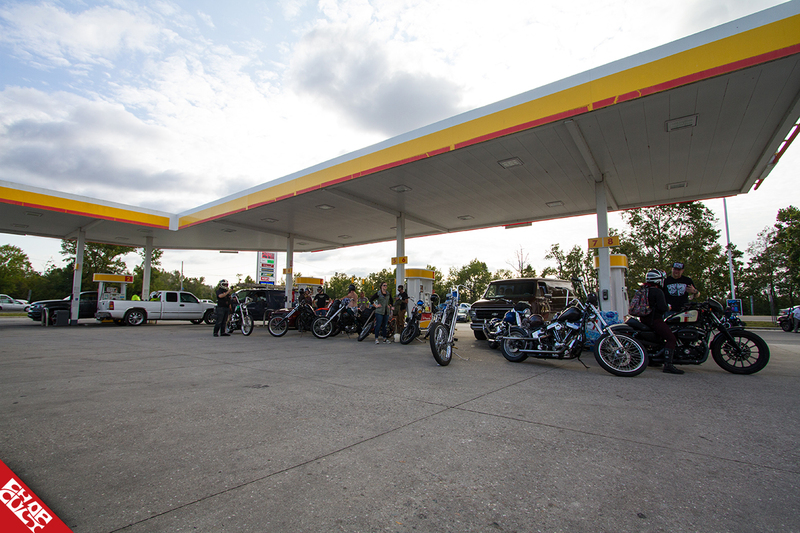 A short run to Ronnie's Country Store for the official meet up before the run drew out about 100 or more bikes with people riding in from New Jersey to Florida and all places in between. The groups started rolling out at 10:30 to Moore's Creek Battle Ground, where everyone regrouped for a guided tour given by Tommy Hyson. If seeing a hundred bikes ripping down the highway is a spectacle, seeing a hundred and fifty or so men and women from all walks of life on a guided tour of one our country's national battlegrounds learning about our history sure is something else entirely. 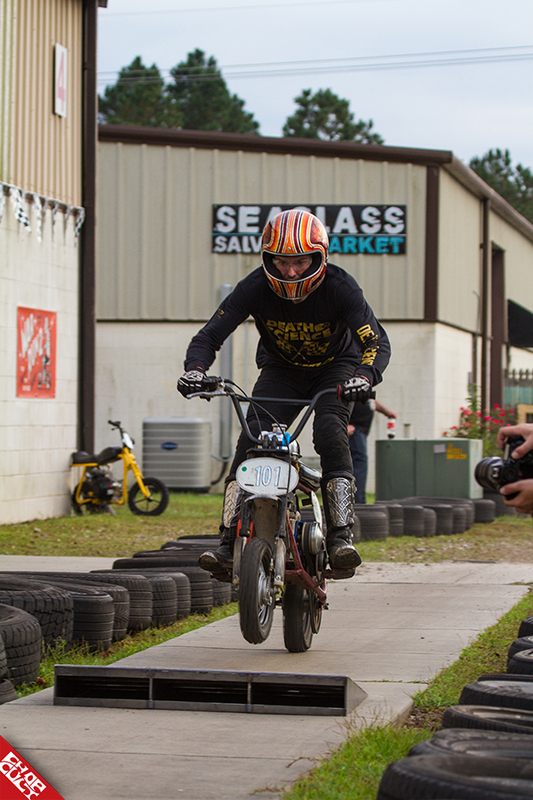 The ride resumed as one and headed into The Compound where the world's biggest minibike race was set up for the rest of the afternoon and evening. Booths were set up by Anthony Hicks and Rare Airwerx, food was provided by 2 Brothers food truck and Chef Floyd’s BBQ, and music provided by the Sunset Kings and Toke. 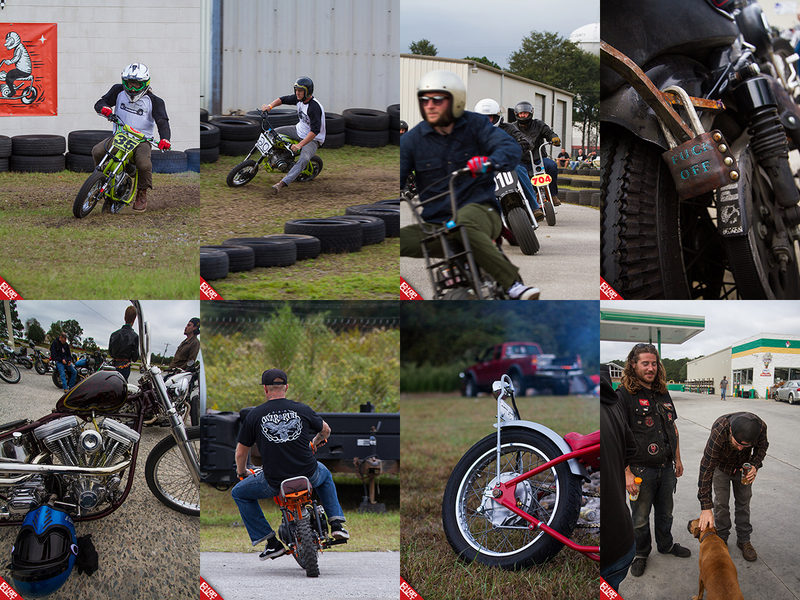 As everyone started getting settled in, whether it was setting up a tent, getting a good place to sit, eating, or making a run to Food Lion to make sure they were set for the rest of the day, t-shirts and raffle tickets started being picked up, minibike tech kicked off, and the final test and tune before practice began. Helltrack, as it was appropriately named due to the amount of flesh, leather, and minibikes it claimed leading up to the event, opened for practice laps and racers started finding their lines for that evening. 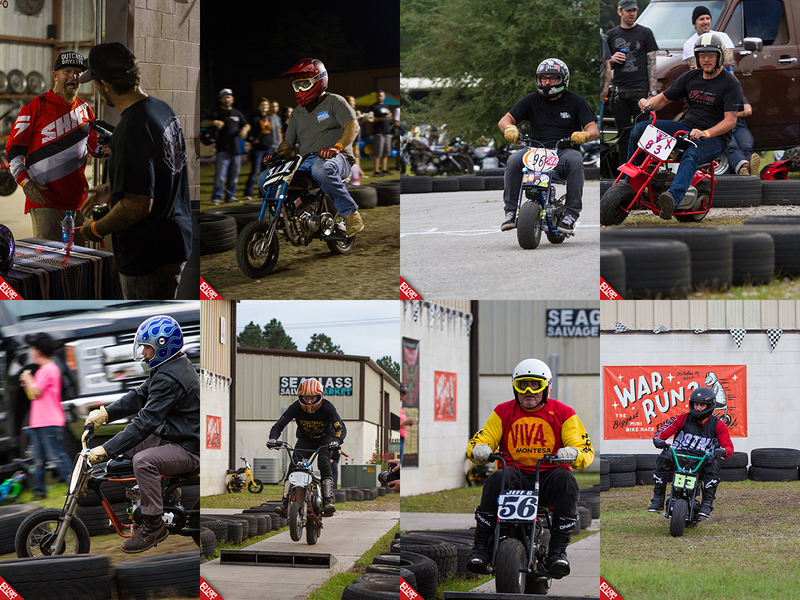 Not only did the War Run have the biggest minibike race, but it also had by far one of the biggest raffles, backed by 63 sponsors including Get Lowered, Lowbrow Customs, ChopCult, Petittbuilt, 33kustomkolor, Rare Airwerx, Anthony Hicks, and the list goes on. You got a chance to see the quality of people at the event when a guy wins a raffle box with shirts too big for him, so he sends them into the crowd, or when another guy wins a custom painting and raffles it off on the spot to support the fundraising for a charity. After all the raffle prizes had been given out, the doors to the compound were closed, and the official Racers Meeting commenced. Toke took center stage, the smell of race fuel filled the air, and the first group of racers lined up to kick off the races. A heavy bass riff dropped in, the racers loaded up, the flag dropped, and the night kicked off! 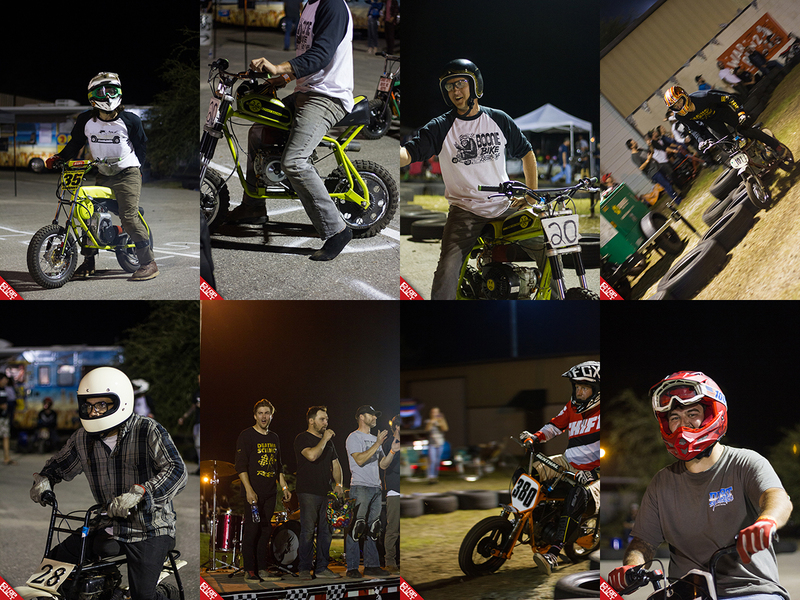 60 racers from 14 states battled it out through 10 heats of elbow-to-elbow racing under the lights! Blown chains, busted welds, wipeouts, jumps, burnouts, blood, sweat, and probably even some tears from the guys who couldn't make the cut, were all in attendance that night. The final race, unlike the previous heats, showcased the top 10 racers for ten laps. The starting flag dropped, and the whole compound erupted! As lap five rolled in, the fireworks display rolled out and lit up the North Carolina sky. Things got hot on the track as the laps racked up. Mechanical failure played it's role and took out some of the racers. As the checkered flag waved, JJ Flairty, Dave Kilkenny, and Mike Scarabino took home the podium. 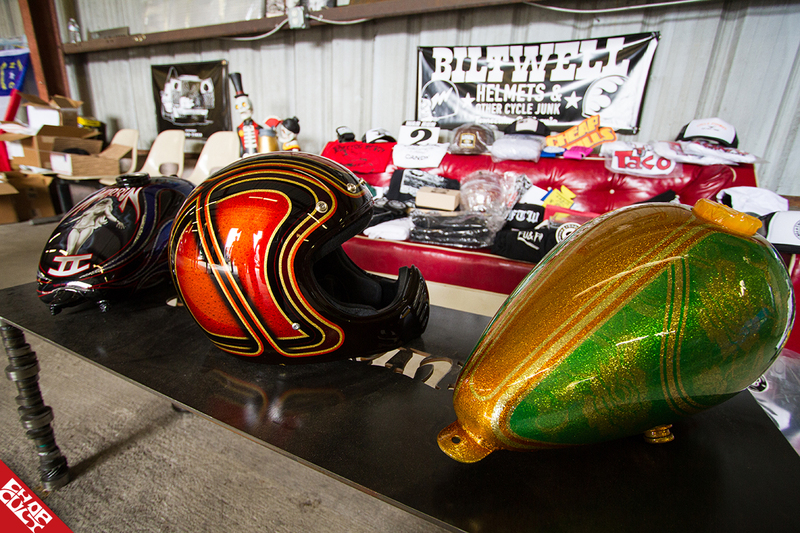 Not only were there custom-cut medals for all the podium positions, but a cash prize and a custom painted Bell Moto-3 by Jason Hancock at 33kustomkolor. With the celebration complete and fireworks wrapped up, the most amazing thing of the day happened. Every person in attendance grabbed not one or two, but as many of the 1400 tires used to set up the track as possible to help in the breakdown. What took days to build was gone in about 15 minutes! And although the races were over, the party continued throughout the night to bring the event to close. 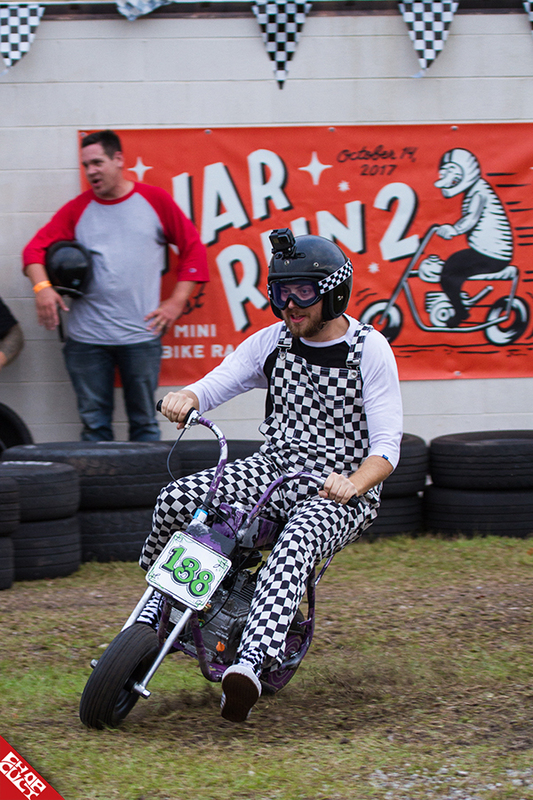 When all was said and done, not only did the event raise over two thousand dollars donated to Building Homes For Heroes, a charity that benefits our nation's Iraq and Afghanistan veterans, but the War Run left everyone ready to dig into those winter projects, get their minibikes race ready, and put in the time off for another awesome event next year. Big thanks go out to Big Scott, Metric Mike, Wes, and Riders On The Norm for putting one what a lot of people are calling the best event of the year. Be sure to save October 13, 2018, for a day of fun with a great group of individuals.